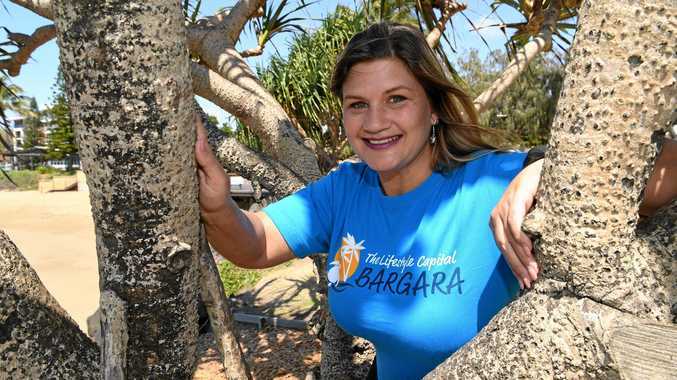 WORD is spreading about Bundaberg's self-proclaimed "lifestyle capital”, Bargara, with colourful and quirky T-shirts for sale to promote the beautiful tourist destination. The Bargara Progress Association has recently created a second design for its T-shirts that aim to allow locals to share their love for the area. Bargara Progress Association president Iain Sinclair said the shirts were a great way to send a positive message about the location. "We're really out to promote Bargara as being a great destination to visit and to live,” Mr Sinclair said. Mr Sinclair has worn the shirts on many occasions and said it definitely caught attention. He encourages residents of Bargara to join the conversation and get involved with the association's monthly meetings to find out information on what's happening in the area. The next Bargara Progress Association meeting will be held at 7pm on Wednesday, October 3 at the Bargara Lakes Tavern. You can buy these awesome T-shirts by contacting Shelly on 0415 923 893 or by emailing shelleymcdonald73@gmail.com.